How Today’s CIO Is Stepping up to the Need for Speed? 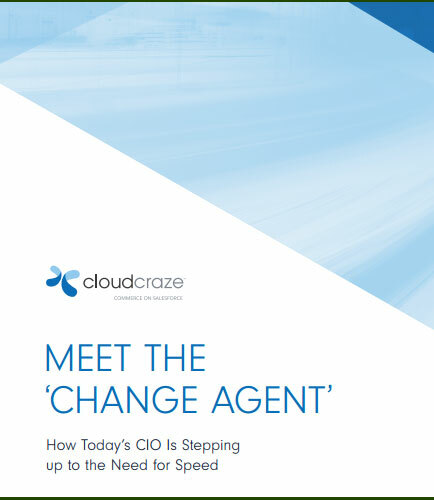 "How Today’s CIO Is Stepping up to the Need for Speed?" For today’s CIO, it is critical to accelerate development of the digital solutions needed to meet customers on their own terms. Some companies may value control over speed when it comes to their IT requirements. For B2B companies especially, speed is of the essence when it comes to commerce. While the B2B market is four times as large as the B2C sector, most B2B companies trail well behind their B2C counterparts in terms of building out robust, easy-to-use omni-channel offerings. Service companies are increasingly investing in field service management (FSM) technologies. The FSM software landscape provides an overwhelming number of options and is rapidly changing due to acquisitions and investments in the FSM software space. This is causing challenges to identify and select the most appropriate FSM software for a service company’s specific needs and objectives. Field Service Software Industry Disruption and Technology Selection Challenges outlines the FSM industry changes and provides recommendations to address the key technology selection challenges service organizations face.